Frederick Ashton is a towering figure in the development of classical ballet, one of the world's greatest and most distinctive choreographers and a principal architect of 20th century classical ballet. Founder Choreographer and later Director of The Royal Ballet, he created over one hundred ballets, principally for The Royal Ballet, including A Month in the Country, The Dream, Enigma Variations, Monotones, Cinderella, Symphonic Variations, Daphnis and Chlöe, La Fille mal gardée, Façade, Les Patineurs, Les Rendezvous, Ondine, Rhapsody, Scènes de ballet, La Valse, Marguerite and Armand, The Two Pigeons, A Wedding Bouquet, Dante Sonata, Illuminations, Jazz Calendar, Sylvia, Birthday Offering, Five Brahms Waltzes in the manner of Isadora Duncan and Valses nobles et sentimentales. 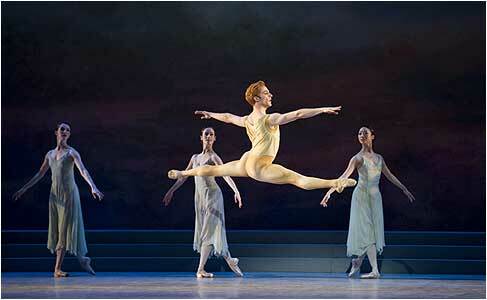 Ashton's works are in the repertory of many companies throughout the world. This website provides an introduction to Frederick Ashton and his ballets and directs the visitor towards further information about his work. The Frederick Ashton Foundation works alongside The Royal Ballet (www.roh.org.uk) and the Ashton Ballet Owners. "To be chosen by Frederick Ashton for a role in one of his ballets was the ultimate goal in a dancer's career and the creative process in the rehearsal studio was always a collaborative one. It was evident that he was interested, intrigued and inspired not only by the dancers' talent but also by their personality and the role, once completed, was expertly tailor made for them. Over the years successive generations of dancers have taken on these beautifully crafted and personalized 'garments'. They make them their own but, for those who saw the original casts, the indelible images created by them live on." In Ashton's work you go from humour to sadness, to passion, to lusciousness, to total abandonment. He really encompassed everything and he did it through steps. Ashton uses every single muscle in the body to express every possible state of mind. And yet it's always beautiful, even if it's about sadness or misery. From the moment we went into the Company - when we were the lowest of the low in Ashton's ballets - we were trained to use our whole bodies, this was the way we danced. It was second nature to us, although, even up to my last Scènes de ballet, or The Dream, or A Month in the Country, he would still prod me and say bend more, bend more!" "Ashton's dances are structurally impeccable, full of surprises, lively, specific, and so refined that it hurts to watch them. They have a gentle kindness, lively wit and passionate abandon. The Dream, Symphonic Variations, Cinderella, La Fille mal gardée: all unimprovable. Perfect, with great strength and a quivering fragility."